Our Mission: Every traveler wants a friend to show them around, and we are there, with the best walking tours and driving tours on your mobile, to do just that! Why are these the best walking tours? Watch this video clip – it’s only a minute long. So often people gather travel advice from many sources, but isn’t it fragmented? And when it comes right down to it, they really wish they had a local friend to show them around… but how often is that possible? Now you have a guide to show you the sights, explain the history and legends! So quit driving in circles. Spend your precious time seeing the best – what interest YOU! Let our local experts show you the way. And our apologies; we tend to offend live Tour Guides, until they get to know us, and see our Opportunities page. Join us today and enhance your travel adventures with Tours4Mobile. Easy to follow tour guide, stop and start anywhere. Tour Zones – preset map panning and overview of the tour. Download it now. No reservations, no sign-up process or fees. Directions – you can get real-time directions to any spot using your smartphone’s navigation. QuietGuides are e-book travel guides. Text and images guide you and allow you to control the pace of the tour. Great for noisy areas or for the hearing impaired. Now available from Amazon. Our A/V tours (narrated slide shows) play on any device that can play video files. Our CD product contains all the A/V formats, so families can tour together with different devices. 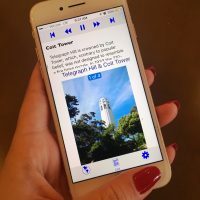 We are the largest source of professionally-produced, guided walking and driving tours created for smartphones and other mobile devices. Hundreds of tours are available. We help you pre-plan your adventures and pick the best places to visit. Best of all, we provide a personal guide to help you navigate the destinations. It’s like having a friend to show you around! These guided tours can provide a day or two of entertainment with turn-by-turn directions and fascinating descriptions of highlights along your route. Go at your pace, pausing the commentary as you wish. Plus, our travelogues are great overviews of off-the-beaten path locations you can view before you go so that you make the most of your time. Our goal is not to replace your experience in the field with a video, but rather offer reference photos, so you know which building the narrator is referring to. As an added bonus, you will also have a keepsake from the experience that T4M has helped you enjoy. Locals: These are great gifts for your house guests – give yourself the day off from playing tour guide. Affordable: For less than $5 you can follow a friendly tour guide. An average 80% savings over most personal guides! Entertaining: Each tour contains hours of fun. A great way to share your city with house guests! Simple: Just “tap” to play or pause. Everywhere: You’ll find us in the USA, Europe, Africa, Asia, Central and South America, Canada, Caribbean and more. 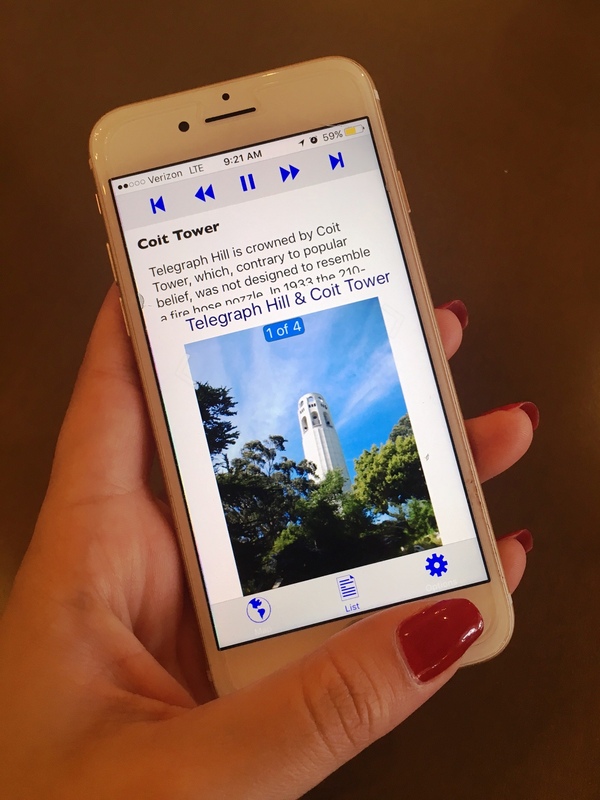 Our vision is to give people on-the-go as well as arm-chair travelers a personal guide through the most interesting places in the world 24/7, to offer educators new ways to present history, and to share revenue with our providers and affiliates. Based in Santa Barbara, California, the company is led by Founder Marie Profant, a long-time manager of leading-edge systems. Joining her, the tech staff, and dozens of authors, is Executive Editor and professional travel-writer, Gordon Burgett, who has published hundreds of travel articles, and published 35+ books. Gordon instructs all the tour providers in the best practices for tour guides as they use the T4M new-media authoring system.